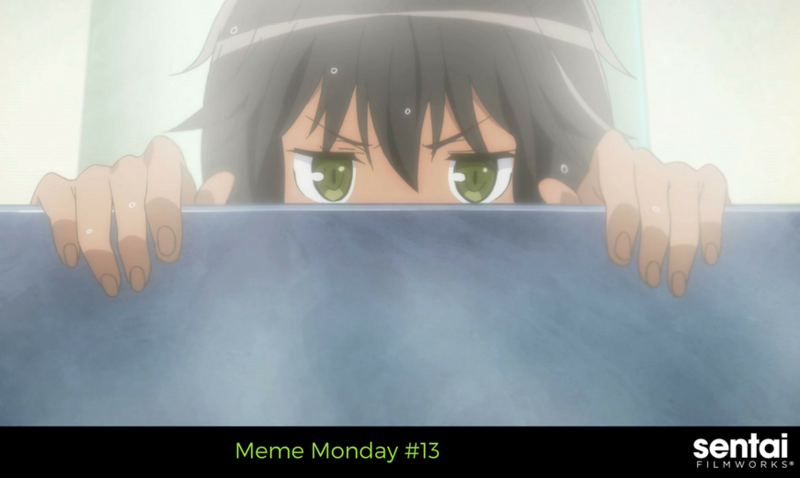 The only thing that makes Mondays bearable is that we can watch anime after work… or sometimes at work (not recommended for all professions). On these dreary work-week start days, we love to spruce it up a bit by using our favorite creation of the internet: the meme. We love it when our favorite shows reference an actual IRL franchise. When we saw it, we couldn’t help but do a double-take. THIS IS A REAL SUBTITLE. Even the translator had a note for us to say, “I DID NOT MAKE THIS UP! This is really what he said!” In other news, mercenaries (and adventurers in general) really need to look into getting knee pads… or staying away from arrows. 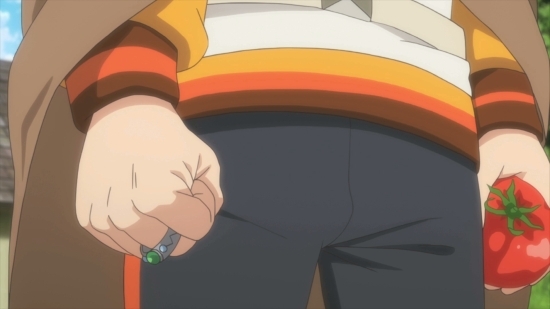 Silent anger has never been so artfully depicted as when used in the “Arthur’s First” meme. Grimoire of Zero really has it out to hit all of our funny bones. We’re loving Rin’s personality. She’s unrelenting and doesn’t take insubordination lightly. A little bit of tsundere, Rin is adorable. 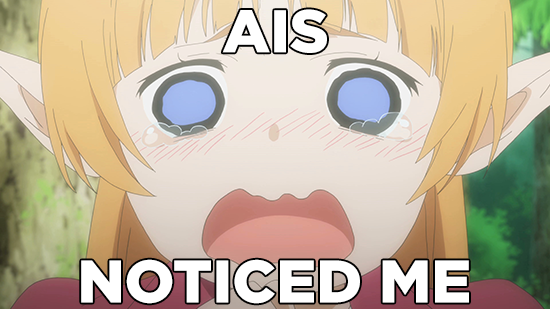 Lefiya is the cutest thing when she’s being noticed by Ais. If only our senpai would noticed us. When you’re starving and your friend comes to the rescue. All hail the glowing food. 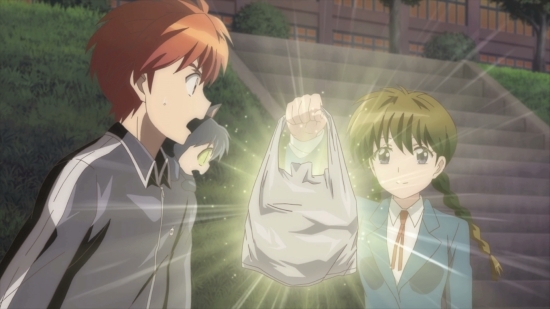 RIN-NE 3 never fails to remind us about the important things in life (Food. We’re talking about FREE food).